A bit more background, was that the Servers SSL Certificate had expired and been replaced. Since then RDP via RWA failed. 150120.175533.5695: ConnectivityCenter: Suggestion: There is an issue with your Remote Desktop Services settings that cannot be automatically repaired. Please contact Product Support. 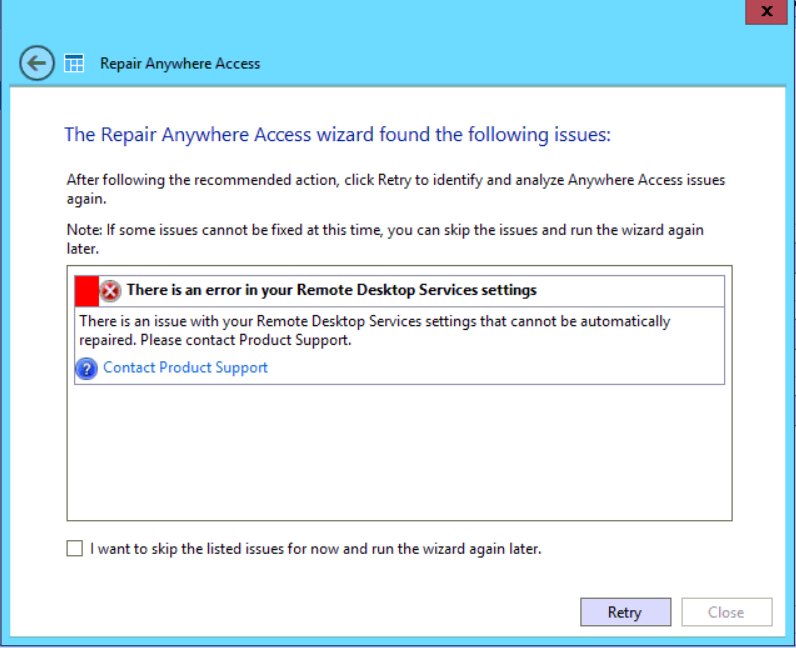 Running the Anywhere Access wizard to attempt a repair, also failed. The solution was quite straight forward, and i actually covered the process back with SBS 2011 Essentials here. The look of the console will of course be slightly different, as the example there is from Server 2008 R2, however the steps are pretty much identical. Once you have repaired the RDP Gateway SSL, you should be back in business. 3 Responses to Remote Desktop Gateway SSL Error, or Network Access Protection LIES!! !